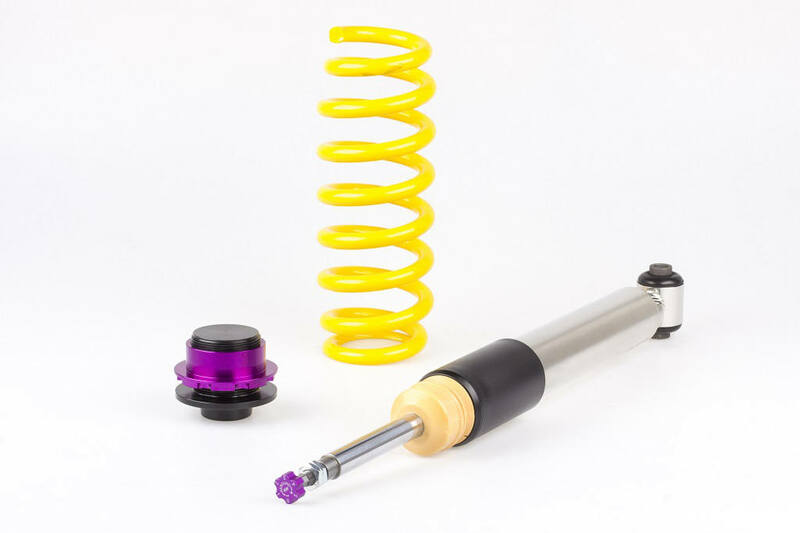 BMW vehicles are renowned for their driving dynamics as standard, so when combined with a high-quality coilover kit the driving experience is dramatically improved! 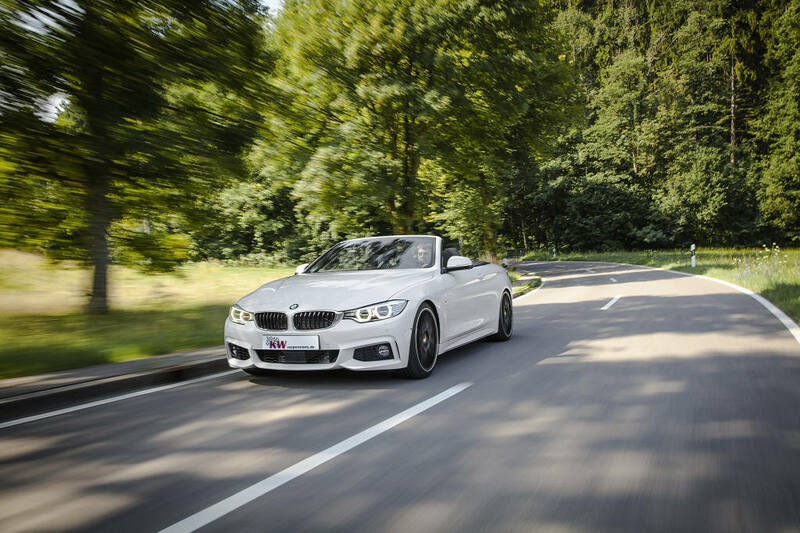 KW is pleased to launch V1, V2 and V3 coilovers for the BMW 4-series convertible (F33) greatly improving the driving dynamics and also the stance with a TÜV-approved lowering up to 65mm on the front and rear axle. 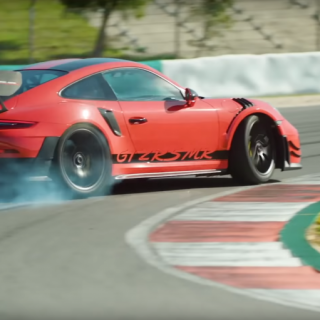 “With KW coilovers fitted drivers will benefit from technology that is derived from our motorsport department onto the road” explains KW product manager Johannes Wacker. 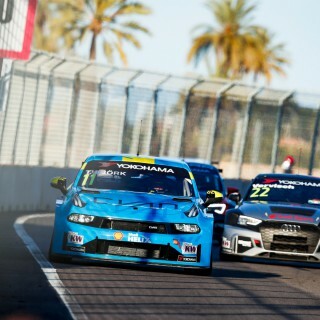 Lots of BMW racecars like the BMW Z4 GT3 and M235i Racing Cup (Link download the technial facts of the BMW M235i Racing) are equipped with KW dampers, and similar to motorsport suspensions the Variant 3 benefits from adjustable rebound and compression damping. 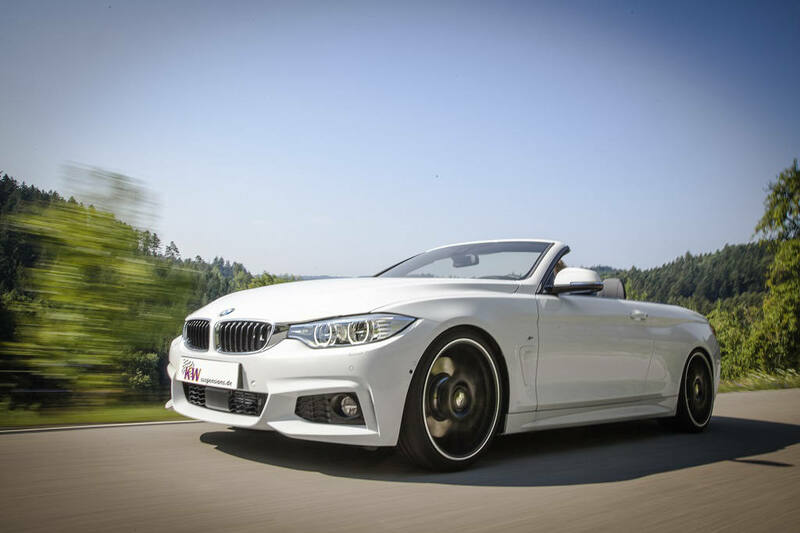 With this level of adjustability the KW coilovers can be setup on the BMW 4-series to cater for additional modifications including bigger wheels, sporty tyres or additional engine performance. 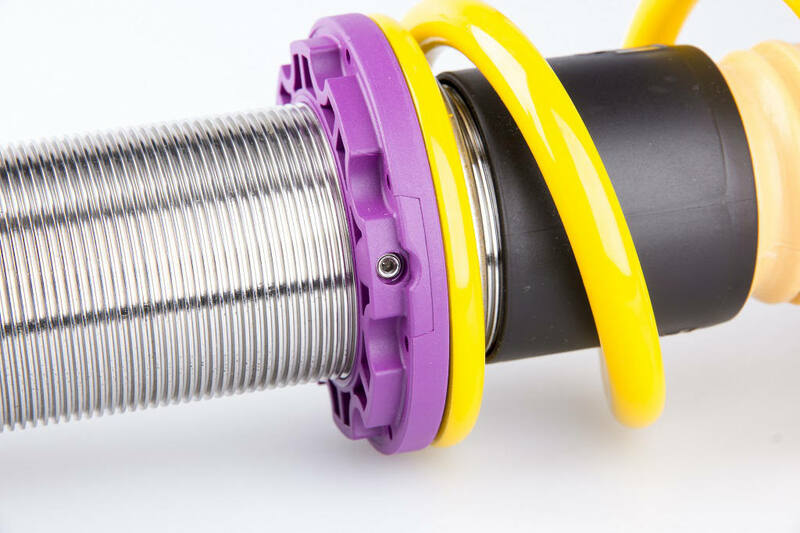 The rebound can be adjusted with 16 exact clicks using the upper end of the piston rod. 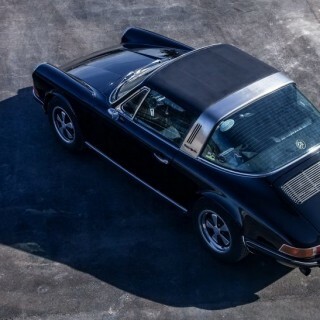 Rebound can also be adjusted with 16 clicks on the KW Variant 2 coilover, whereas the KW Variant 1 system has the damping pre-set from the factory and cannot be adjusted. Drivers who want to have a compromise between sporty handling and daily drivability will find the Variant 1 perfect for their driving needs. 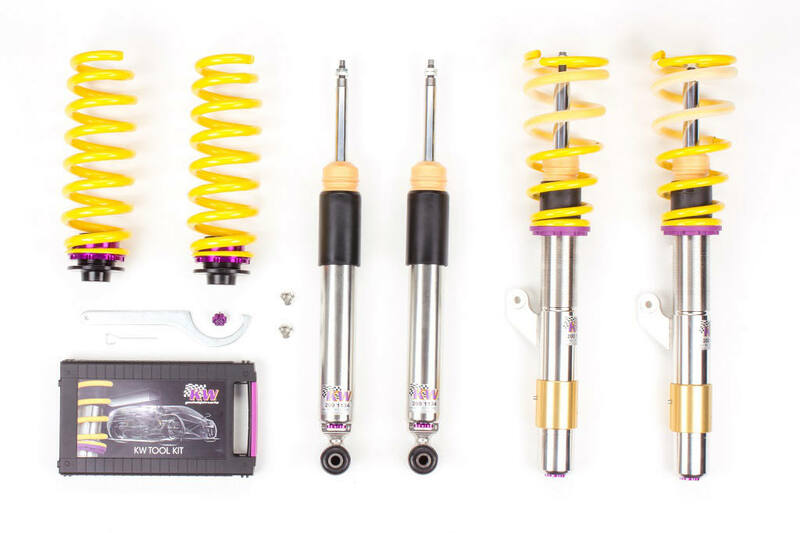 All three KW coilover kits are made of stainless steel and enable a continuous lowering of 40 to 65 millimeter at both axles. 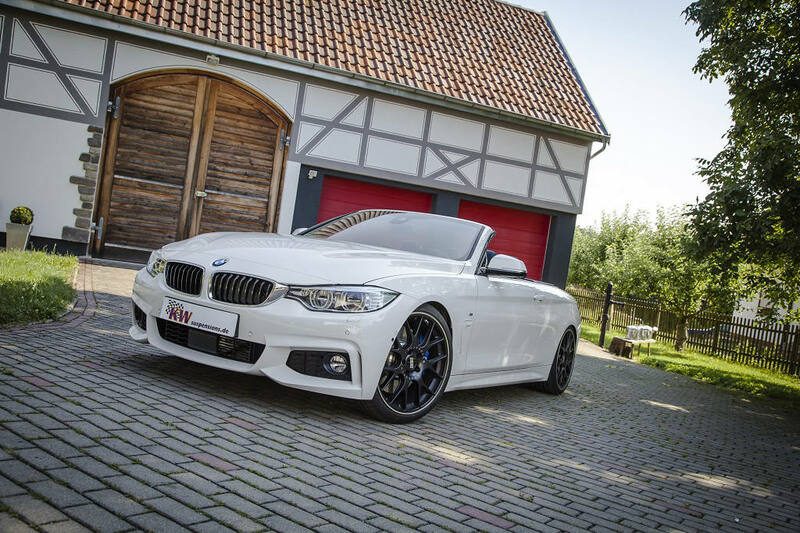 Soon, the KW coilovers will be available for 4 series convertible with BMW xDrive fitted (4-wheel-drive).